If you’re a fitness freak, it’s about time to invest in an elliptical cross trainer for home use, which is a great addition to your home cardio and overall exercise equipment. 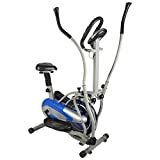 Elliptical cross trainers first came into the market in the 1900s and were established in the 1980s, rapidly penetrating the fitness world and now one of the most preferred exercise equipment in gyms and homes today. 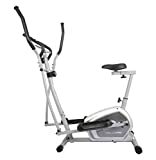 Elliptical trainers are useful for fitness because of the total body workout you can perform in an integrated way for promoting cardiovascular health, weight loss, strength, and endurance. It is a low resistance and non-impact fitness equipment which is perfect for the elderly. It also prevents stress fractures and overload injuries. In case you’re in a hurry, here are my top three recommendations for the best Elliptical Trainers in India. Still confused about which elliptical trainer is best for you? 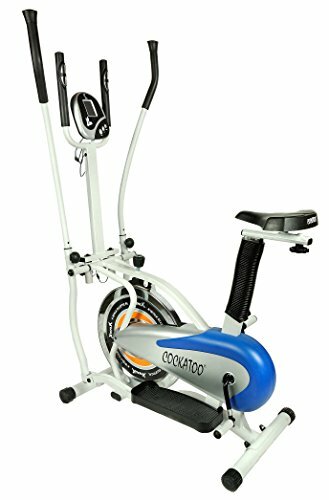 Let me help by providing detailed reviews on the best elliptical trainers that I found in the market (and the ones you can buy online). These reviews will definitely help you gain awareness and understanding about the best features, pros, and cons of each elliptical trainer. Below is the table that shows all the elliptical trainers covered in this review. Now let’s have a look at the detailed reviews of each of the elliptical trainer covered in this article. Based on my research, this is the best elliptical trainer in India. You can monitor your time, speed, calories, and distance with the LCD window display monitor of the Welcare Elliptical Cross Trainer. The Pulse Pad can maximize your workout with this ultimate tool which is perfect for your heart rate training. The built-in and dual-grip monitor helps in keeping you within your target zone so you can achieve your workout goals. It has a bigger stride length at 16 inches, giving you a smoother workout feel and reducing the knee impact. The weight of the Fly Wheel is 4 kilograms, which increases your speed momentum and makes your workout really effortless. This workout equipment has 8 levels of Tension Control Manual Magnetic Resistance Control. You can also adjust the seat for superior comfort while working out. The handle is smooth for a more enjoyable and convenient workout experience. It has a weight capacity of 80 kilograms. The dimensions of Propel Cross Trainer HDA54 are 97 x 58 x 164 centimeters with belt tension system. It has a calorie count capability as well as a heart sensor button. This elliptical trainer has a weight capacity of 85 kilograms. It also has display features including calories, distance, speed, and time monitoring capabilities. 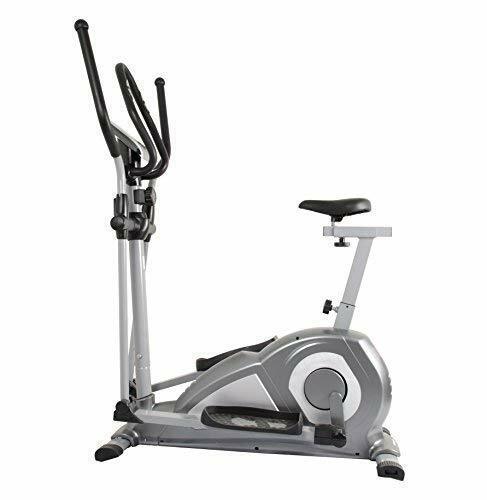 The Propel Fitnessone’s Propel Cross Trainer HDA54 is a basic model of a cross trainer. Housewives and senior citizens can now enjoy a workout by using this product even while watching TV. The Allyson Fitness 4-in-1 Orbitrek w/ Seat and Pulse Stand mimics walking and running with zero impact on the knees and joints. A 10-minute work-out in Allyson Fitness Orbitrek is actually 300% more effective as compared to walking for 10 minutes. It is best for total body workout, targeting the arms, chest, shoulders, abdomen, thighs, and back. It combines slimming and muscle sculpting. Get a cardiovascular workout today because Orbitrek is highly recommended by healthcare professionals. With the Turn and Burn resistance, you can burn 820 calories at a maximum amount in just an hour. It is compact and portable so you can just roll it just anywhere in your home, accommodated by any space like small apartments. The best features of this elliptical trainer include the adjustable resistance knob, 45 kilograms of resistance, digital meter (distance, time, speed, calories), and maximum user weight of 125 kilograms. 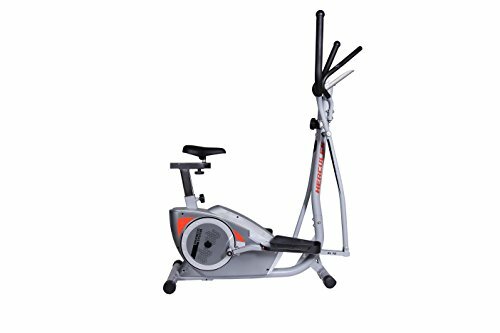 Orbitrek models of fitness equipment combine cardio exercises to reduce waistline with resistance-training workouts and to get awesome calorie-burning workout and muscle-sculpting at the same time! The Allison has an innovatively compact design so you can use it as a Stepper, Treadmill, Cycle, and Stair Climber. This is highly recommended by doctors for patients on the post-surgery rehabilitation period. It is perfect for anyone who wants to get fit and healthy. The Lifecarefitness Orbitrek is completely zero maintenance. The fan wheel is made of sturdy tubular metal construction, thus providing a strong air resistance. It is fully adjustable with a tension resistance control (dial-A). This is an elliptical trainer that can give you a total body workout, targeting your arms, chest, shoulders, thighs, and back. It helps in stimulating running and walking with no impact on the joints and knees. The 4-in-1 combination includes arm rowing, Cycling with seating option, and Stepper, Stair Climber. It is equipped with a digital meter showing the calorie count, distance, time, and speed you have achieved while working out. Enjoy the convenience and portability because this elliptical trainer also includes movable wheels so you can move it anywhere the house. 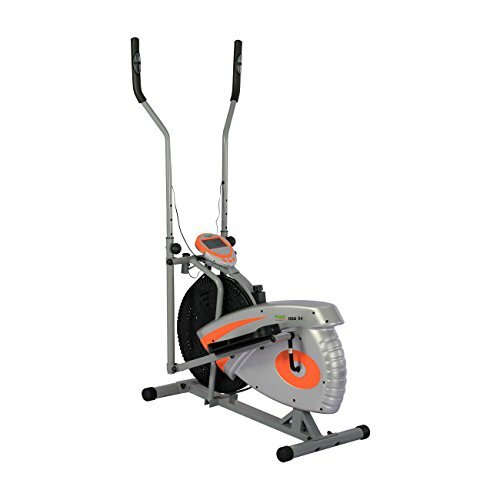 This elliptical is made of a steel body, plastic chain cover, and fiber wheel. 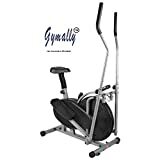 The Gymally 2-in-1 Orbitrek is a total body workout perfect for burning calories with a Cycling Arm Rowing and Stepping Strong and Sturdy with adjustable resistance knob or handle-bar and adjustable seat height. It can handle a maximum weight of 100 kilograms. You also properly monitor your progress with its digital meter showing the speed, time, distance, and calories. Like any other Orbitrek fitness equipment, the Gymally combines cardio exercises to reduce your waistline through resistance-training workouts bundled in a revolutionary workout equipment for an awesome muscle-sculpting as well as calorie-burning workout. It has a compact and innovative design so you can use it as a Treadmill, Stair Climber, Cycle, and Stepper. It targets the shoulders, arms, abdomen, chest, thighs, and back. It is simulating running and walking without impact on your joints and knees. Doctors highly recommend Orbitrek, most especially for patients after undergoing joint surgery and those with hypertension, high cholesterol levels, and diabetes. The aerobic workout is now made easier without the jarring effect, perfect for home use. 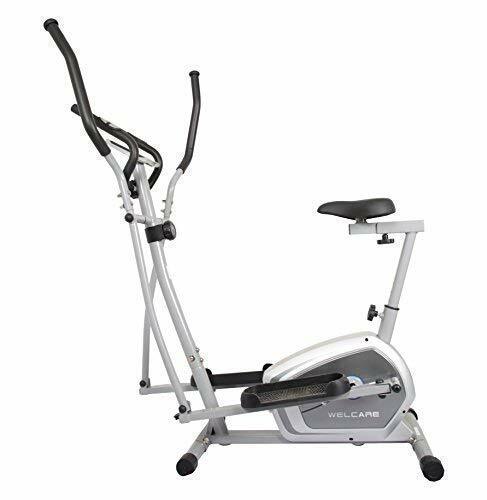 This WELCARE Elliptical Trainer comes with a large screen. It has a bigger stride length at 18 inches for a smoother workout, reducing the impact on the knees. Now, you can feel secure even when you step into the oversized pedals with a larger LCD screen. The hand pulse can be conveniently placed on the handrails, displaying 6 programs. The seat is adjustable for a more comfortable workout. The weight of the flywheel is 7 kilograms that can increase the speed momentum, thus making your workout effortless. The WC6044 has a 16 inches stride length while the WC 6020 has a stride length of 18 inches. The flywheel of WC6020 is 7 kilograms while the WC6044 has a 4 kilograms flywheel. The suggested maximum user weight is 90 kilograms while the WC6044 has 80 kilograms. It has an adjustable seat and 6 display programs with oversized pedals. The seat of Propel Fitnessone’s Cross Trainer is perfect for elderly people. It is equipped with Dual Action Magnetic System and Heart Rate Monitor. It measures 3 by 2 feet with calorie, distance, time, Rpm, and speed monitoring as well as body fat calculator. It has an adjustable crank suitable for individual height and complete body workout for a maximum result. The large foot straps were designed for superior foot stability. It is also equipped with extra large seats so you can also have a comfortable sitting posture. 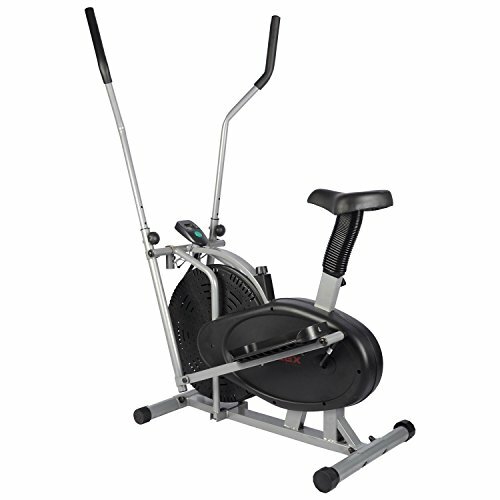 This elliptical trainer is best for beginners because of the availability of low resistance. It helps in reducing back pain, knee pain, and posture problems, most especially among the elderly. Strengthen your thigh and calf muscles because this fitness equipment evenly transfers your body weight to your legs rather than your knee joints alone. The Seated Cross Trainer engages and strengthens the muscles in your buttocks, lower back, abdomen, shoulders, arms, and neck, improving body posture and reducing back pain. The Hercules EL10 provides a Low Impact Exercise which is perfect for beginners. It helps to reduce muscle strain and stress, most especially on the legs. The movement shape corresponds to the ankles, hips, and knees natural path, when walking, jogging, or running. 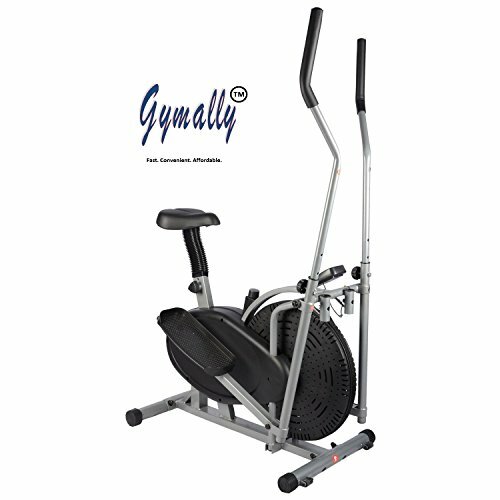 It has an ergonomically designed seat, this it is one of the most preferred elliptical machines for any age group. This elliptical trainer promotes Weight Bearing Exercises with low maintenance. The Hercules Fitness has fewer parts that are movable. It means that you don’t have to worry about belts, motors, rollers, and bearings. It promotes a better overall workout for your entire body. Expect that you can burn more calories in just a short period of time. Because of the 8 Level Manual Magnetic Resistance, you can ensure that this fitness device is safe for you to use. The best features include Hand Pulse Facility for measuring heart rate or pulse and ergonomically designed and adjustable seat. The flywheel is 5 kilograms and the weight user capacity is 100 kilograms. It is also equipped with a functional display showing the distance, speed, time, pulse, and calorie count. The Cockatoo OB03 Orbitrek can perform many functions. It has a manual step with a less resistance adjustable system, silent and smooth chain transmission, and a smooth steel wheel. The LCD display shows the speed, calorie burned, distance, and elapsed time. It has a 4-way adjustable seat that can be adjusted upwards, downwards, left and right. The Allyson Fitness 2-in-1 Orbitrek perfectly simulates jogging, walking, and running without impact on your joints and knees. A 10-minute workout using this Orbitrek model provides 300% effectiveness as compared to walking for 10 minutes. It offers a complete body workout targeting the muscle of the abdomen, chest, shoulders, arms, thighs, and back. You can achieve your workout goals because thus machine combines the muscle-sculpting and slimming capabilities, and it’s considered a certified cardio workout machine. The turn and burn Resistance burn a maximum of 820 Calories in just an hour. It has a compact size perfect even for a small apartment. You can easily glide the wheels for your utmost portability and convenience so you can move it anywhere and anytime. It comes pre-assembled (80%) and the installation is very easy through a video tutorial. First, it is important to know the manner and frequency you’ll be using an elliptical trainer, as well as the space available for it. There are many brands of elliptical trainers today, and as the price increases, you tend to obtain sturdier frames, larger workout areas, better consoles, and smoother operation. The front drive or rear drive refers to the location of the flywheel on the machine. It is actually a matter of preference. Based on the description of the American College of Sports Medicine, a rear-wheel drive provides a more natural and free movement which gives a more comfortable feeling. A front-wheel drive can replicate this with the use of articulating pedals, simulating this motion. However, the front wheel drive without articulating pedals won’t provide the similar natural feel. Rear Wheel elliptical cross trainers usually have adjustable ramps that can be altered, targeting different muscle groups. The strides may feel longer on a front wheel drive with a similarly jogging motion. The front wheel drive elliptical trainers are less expensive but with the expense of the stride with a more natural feeling. The stride length is measured by computing the difference between the front and the back area of the front foot. This is a critical feature when shopping the right cross trainer for you. The motion should be comfortable and feel natural, with each smooth rotation of your legs and feet. Generally, taller users need an elliptical trainer with a longer length of stride, while shorter people need to use a more compact machine. The lengths of strides vary from 30 to 50 centimeters. Home use elliptical trainers have a lower maximum user weight while commercial elliptical machines have a higher maximum user weight and are generally more expensive. 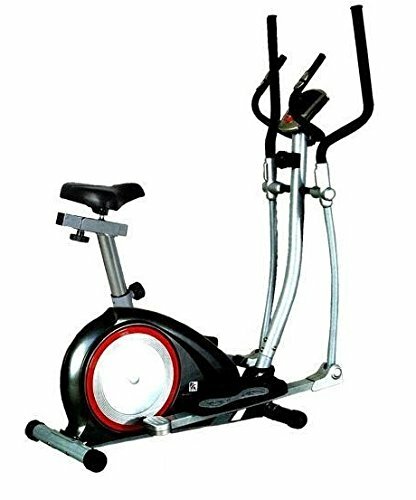 An elliptical cross trainer usually has a maximum weight capacity of 160kg which also depicts a well-built and sturdy machine. Another important factor to consider is the flywheel because its weights affect the smoothness and resistance of your motion, while you are building your momentum. It is best to find an elliptical trainer with a flywheel that weighs at least 7 kilograms because a heavier flywheel usually means a higher-quality machine. Some manufacturers do not publish the weight of the flywheel, so it’s worth doing an extra research just to find this information for a smart buying decision. This is where you can monitor your progress while working out. For instance, an LCD screen may display time, speed, distance, and other relevant information about your workout. As the specs increase, there are more features available and the expensive models may also feature color touchscreen or backlit LCD displays. Some brands offer connectivity to smartphones or fitness trackers, while some also have speakers, providing more in-depth feedback and extra motivation. An elliptical cross trainer is different from the treadmill wherein you can set the belt rotation speed and just keep up. With an elliptical trainer, your activity sets your work speed. The resistance is altered for increasing the intensity and difficulty of your workout. It’s important to consider the resistance range most especially if you are planning to use it for long-term training. More adjustments won’t always mean a wider range of resistance. Your heart rate is measured in different ways. These measure the heart rate via hand sensors on the handlebars. 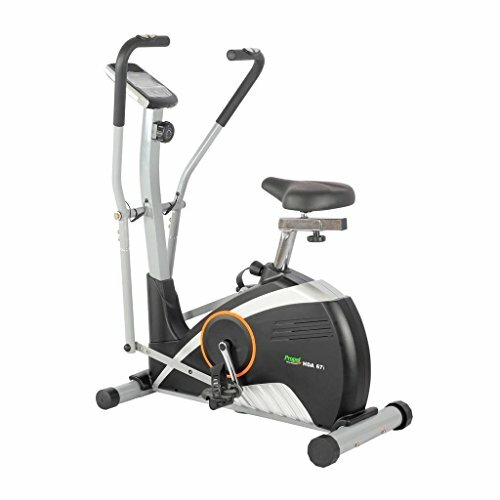 Elliptical training machines have wireless receivers that connect to a chest strap and transmits the heart rate to the monitoring console. If you are planning to train within the heart rate zones, the chest straps are more accurate as compared to handlebar sensors. There are several things you have to consider when shopping for an elliptical cross trainer. Investing with a product with the highest specification you can afford will likely get you the best piece of fitness equipment with more features, considering the durability, portability, and comfort it brings.